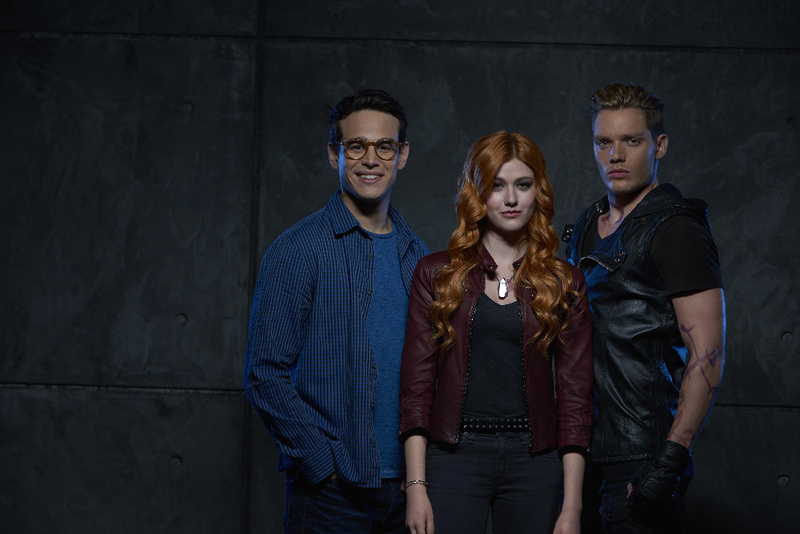 This week fans all over the world rejoiced as Shadowhunters premiered at last on Freeform (formerly ABC Family) after months of anticipation all over social media. 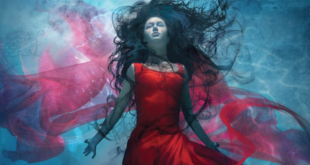 When we interviewed the cast, creator Ed Decter, producer McG, and series author Cassandra Clare last October, they emphasized how the show would stay true to the spirit of the books. For the most part, this viewer feels that they succeeded with that, though many critics have voiced their opinion on the strength of the pilot. While it wasn’t perfect, there were lots of fun and entertaining scenes that capture Clare’s Shadowhunter world for both fans and newcomers alike. 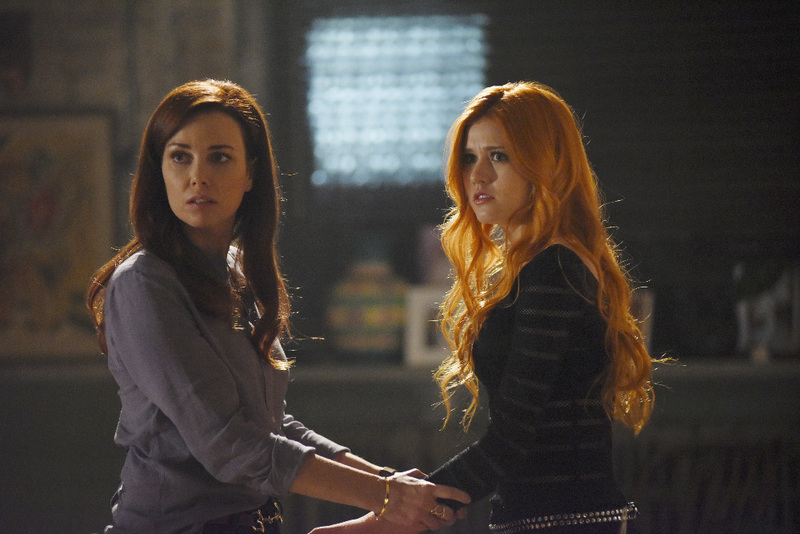 Jocelyn Fray (Maxim Roy), Clary’s (Katherine McNamara) overprotective mom, will do anything to keep her daughter safe. That includes slaying a water demon when Clary was eight and then kicking the collective asses of Circle members that have come to the loft looking for her and the Mortal Cup. Then being the badass that she is, she downs a sleeping potion so that they can’t force her to reveal its location. Boom. We get a shirtless Simon Lewis (Alberto Rosende) in the first episode and fangirls and boys all the world say thanks. Even Clary couldn’t help but check out her best friend’s ridiculous abs after Champagne Enema’s gig on her birthday. Yup, we saw that Miss Fray. BONUS: Simon singing “Forever Young” – ahhh super foreshadow! Well played Mr. Decter. 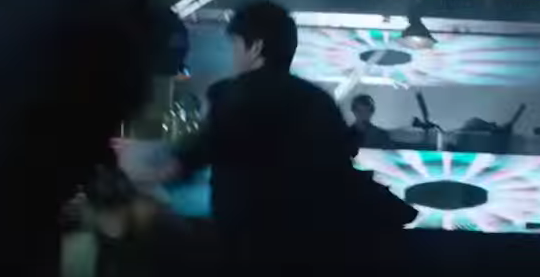 Footage of the fight scene at Pandemonium had originally been shown to attendees at New York Comic-Con last October to much applause but seeing it play out during the premiere had me focusing on other details, like the DJ in the VIP section. It’s a quick flash but he’s not freaking the F out. Kudos to you possibly mundane DJ for playing on. If you read the books, Maureen Brown (Shailene Garnett) was actually groupie and younger cousin of bandmate Eric Hillchurch. Having her in the band instead and being friends with both Simon and Clary brings a new twist to the story that is intriguing. This sets up a whole new love triangle between the three characters that is mirrored by Simon/Clary/Jace. 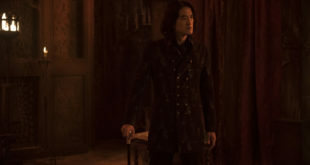 We got a first look at the villainous Valentine Morgenstern (Alan Van Sprang) who is not only Jocelyn’s husband, but is also the leader of the rogue Shadowhunter group, the Circle. Everyone thought that he was dead, but nope he was just hiding out in radioactive Chernobyl with his demon experiments. Plus he showed the world how crazy he is by stabbing a Circle member who was talking smack about Jocelyn. Poor dude didn’t realize that Valentine was still obsessed with his wife. Seeing Isabelle brought to life by Emeraude Toubia was such a pleasure to watch. She captures Izzy’s confidence, grace, and badassness wonderfully. 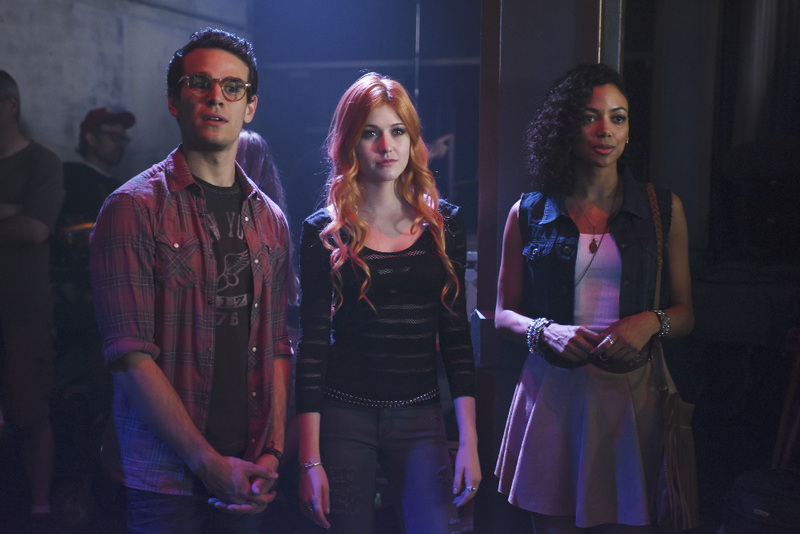 It was also great to see her interact with Alec, Jace, and Clary. Plus the girl can fight in insane heels! 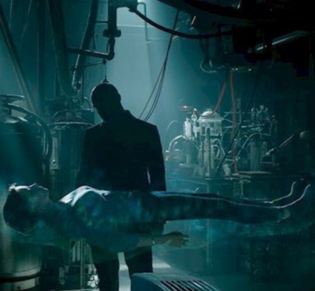 Near the end of the first episode, Clary has woken up from her demon infection and meets Simon outside the Institute after two days of being asleep. Jace (Dominic Sherwood) has gone outside with her and a good thing too since a Circle member had followed Mr. Lewis and was trying to abduct Clary. Jace of course kills the guy and reveals himself to Simon. Clary gets caught in the middle as the Shadowhunter wants her to stay with him so he can protect her while her best friend (whom she trusts completely) is asking her to leave with him. So many feels! Bring the love triangle on. What were your favorite scenes? Share it with us in the comments section! 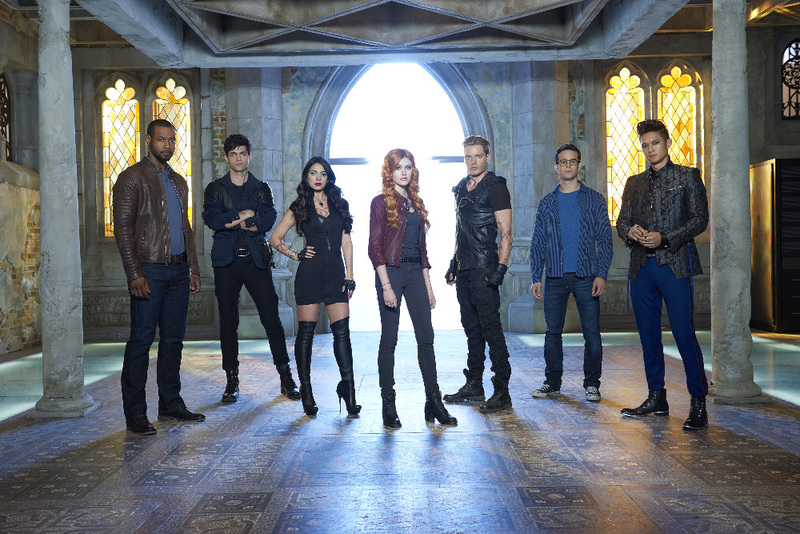 You can catch Shadowhunters on Freeform Tuesdays 9/8 Central.